One of the things about being engaged that I have most eagerly anticipated is my bachelorette party. It’s so rare these days to get all your close friends together and it was a treat to get so spend nearly 48 hours with 8 of my favorite people in the world. My Maid of Honor and training partner Asia went all out and literally thought of every way to shower me with love this weekend. I couldn’t feel more special! It all started with custom made shirts for all the attendees – mine said Bride, Asia’s said Maid of Honor and the other girls said TEAM Bride. From this the hashtag for the weekend #DobyTeamBride was created (Mike’s last name resulted in the nickname Doby). On Friday afternoon five of us made our way to Vegas from San Diego via a Southwest flight, all wearing these awesome new shirts. 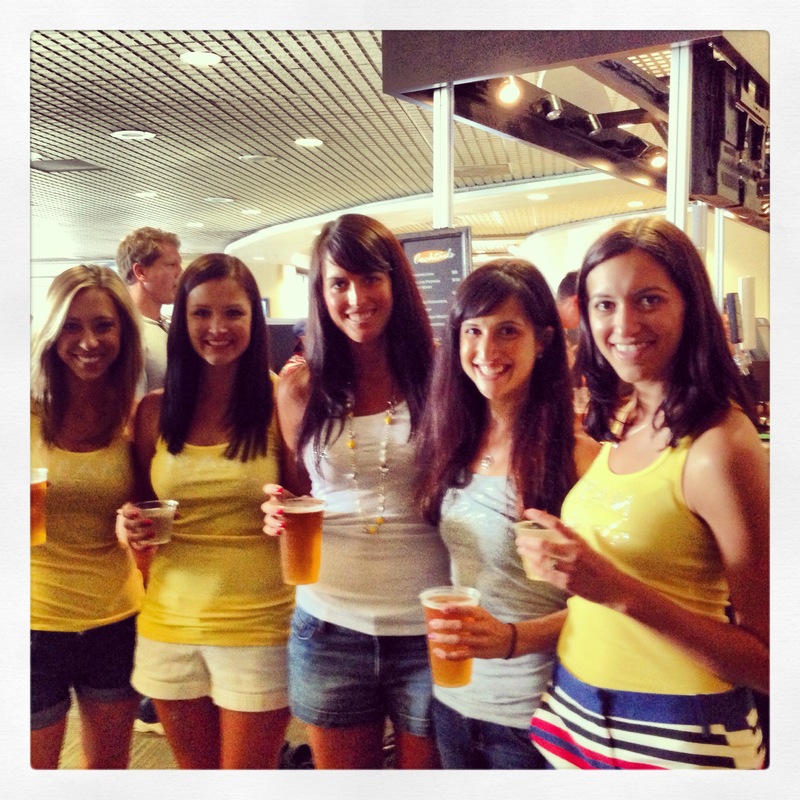 Wanting to get started with the celebrations immediately, we had our first Cheers in the airport bar and then continued the party on the plan with drinks and Jello shots from friendly guys we met on the plane. Once we touched down in Vegas, we were ready to go! The rest of the evening was amazing. I came up to the room to find it decked out in pink bachelorette garb, a big bucket full of ice and chilled beverages, a table with gifts, a box full of bachelorette scavenger hunt cards and two very festive homemade desserts which replicated a well known male body part. Asia then presented me with a bottle of alcohol and a card from Mike, wishing me a great bachelorette weekend. It just kept getting better! Soon after the remaining two girls who would be joining us Friday night arrived and we immediately launched into a game where I opened the gifts which contained underwear and had to guess who gave them to me. After getting ready and more drinking, we headed out to complete scavenger hunt and eat dinner. Asia had called ahead to the restaurant to get them to create a special vegetarian menu for me.We continued to play the scavenger hunt cards at dinner which resulted in two more rounds of shots. Afterward we headed to the Wynn and to XS nightclub where we danced the night away. Saturday morning greeted me with a pretty epic hangover which was expected given that I rarely drink hard alcohol and I had drank it for 12 hours straight on Friday. After a very slow start and the arrival of the last two girls in our group, we made it to breakfast and then to the new pool party “dayclub” called DayLight in the Mandalay Bay. Asia pulled out all the stops so that as soon as we arrived we were escorted in. Soon after arriving we were invited to a nice shaded cabana with a bachelor party and we spent about 3 hours enjoying the party! 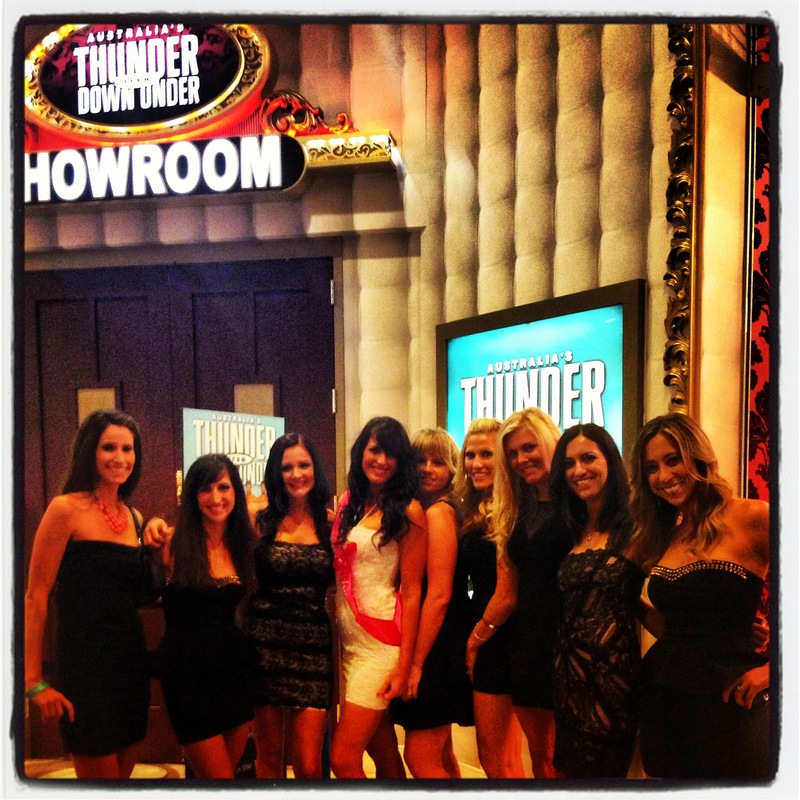 After a yummy early dinner we headed back to the room to get ready for the main event of the night – Thunder Down Under! The show was absolutely hilarious and entertaining (although I wasn’t picked to go on stage!) and we all agreed that we had more fun than we had even expected. I also got a pretty epic photo out of it! After the show we headed to a really cool bar in the Mandalay Bay that overlooks the Vegas lights. The toilets in the bathrooms face long floor to ceiling glass (one way) windows that overlook the strip! While here we played a fun drinking game that involved me answering questions that my friends had asked Mike about me/our relationship. If my answer matched his, I got to give out a drink. If it didn’t, I had to drink. Asia once again worked her magic and got us escorted in to one of the newest and best nightclubs in Vegas – Light at Mandalay Bay. We ended up at a table with a few pro football players (I had no idea at the time!) and a country music artist (same thing – didn’t know who they were at the time) celebrating a bachelor party. The guys were all really nice and gentlemanly and their table allowed us to be away from the massive crowds. The club had an amazing DJ that played fabulous dance-worthy songs and it was studded with women doing acrobatics, including a trapeze artist! It was definitely one of the best clubs I’ve ever been to. After late night pizza we crawled into bed for 2 hours sleep before getting up for our early morning flight back home and then we slept our faces off all day Sunday. I couldn’t have asked for a better weekend! It looks like you had a great time and your friend did a great job setting it all up. Thanks for sharing with us. 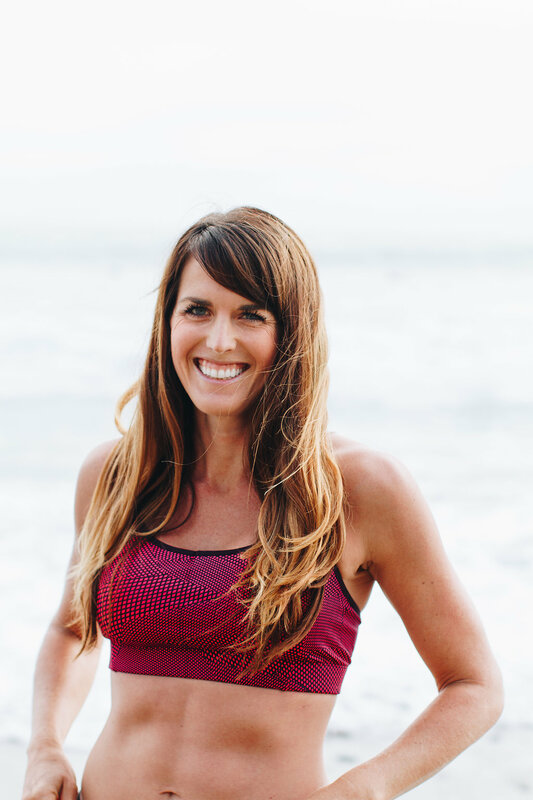 Absolutely loved your bachelorette recap! I had a blast in Sin City for mine back in April. 🙂 And remember going to Thunder from Down Under for my bestie’s a few years ago. Agreed, super hilarious!! Best wishes to a wonderful next several weeks of wedding planning. Enjoy and soak it all in! I love it – looks like you guys had an awesome time. Kudos to Asia! 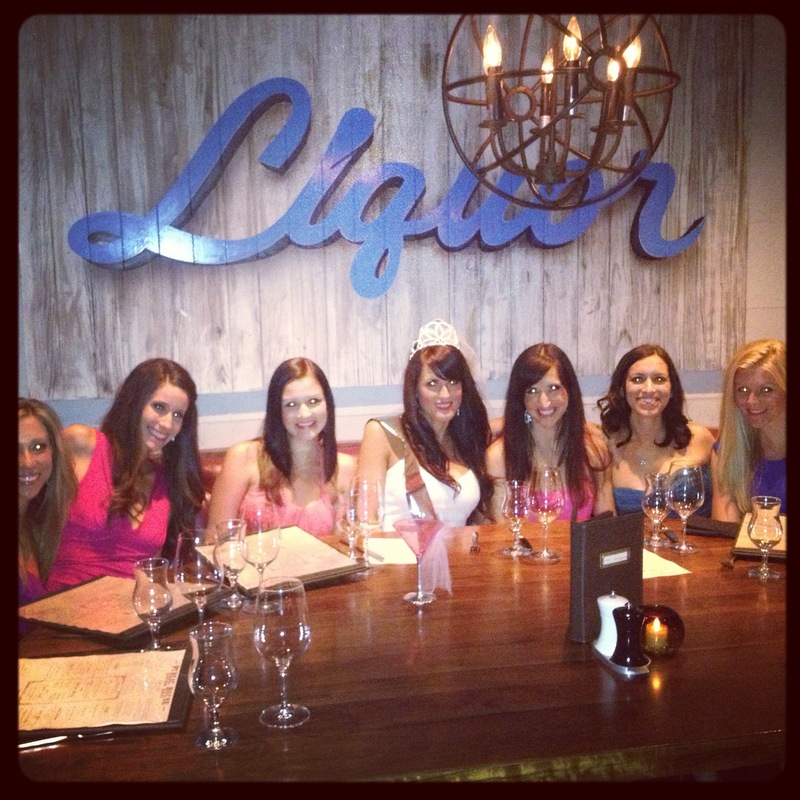 Part of me wishes I was on the west coast so I could do a Vegas Bachelorette party. Fabulous! 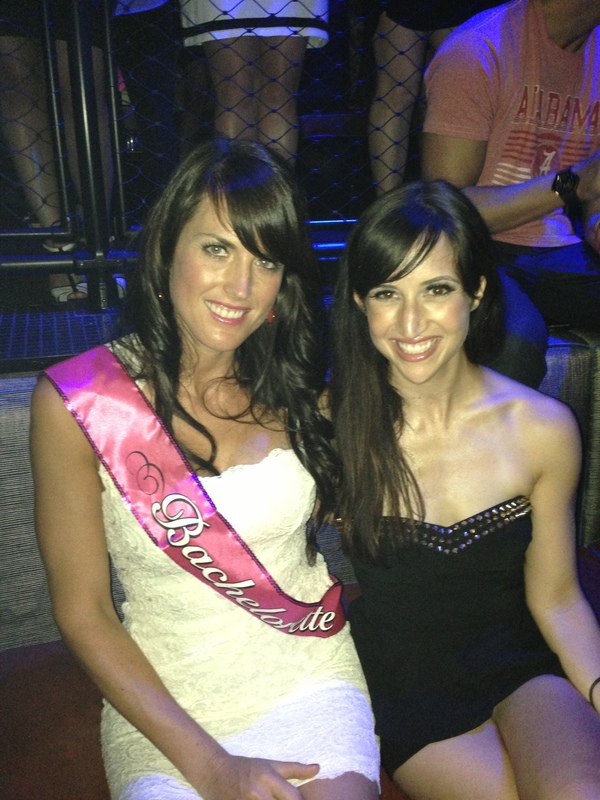 Yay happy bachelorette, bestie! Hope you will remember that weekend forever. I know I will! Amazing! Sounds like so much fun. 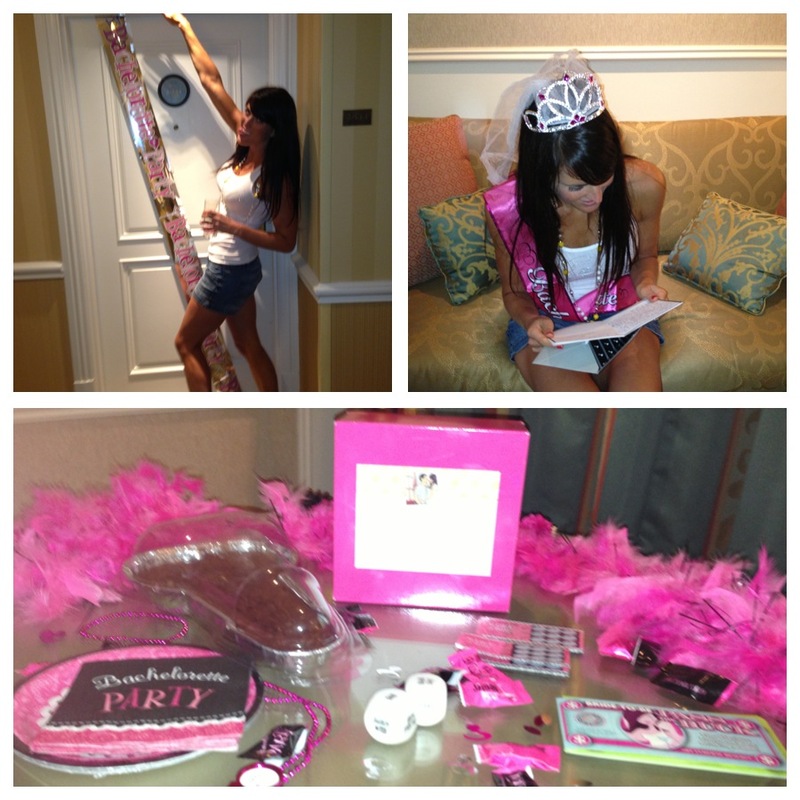 I did my bachelorette in Vegas and have a very similar recap. What an awesome weekend! Sounds like an amazing weekend with thoughtful, fun friends! Glad you had such a great time with your beauties!